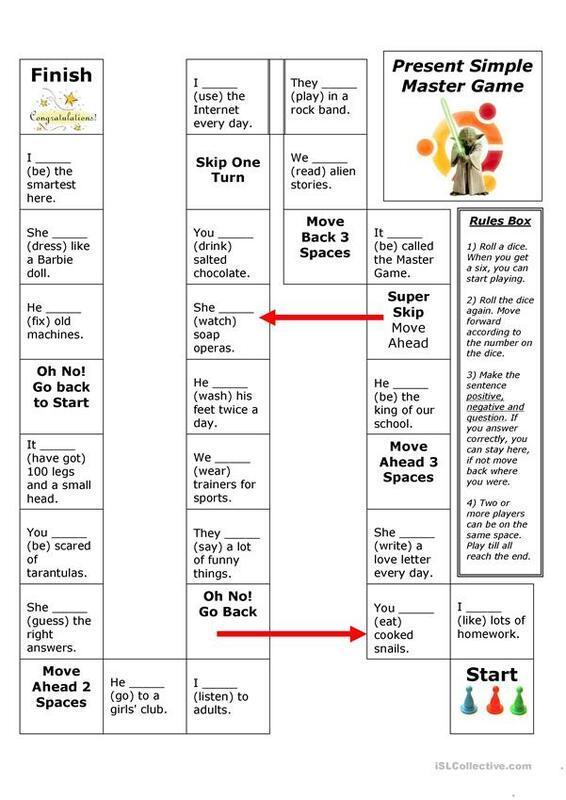 Beginners Present Simple board game to practice grammar: positive, negative and question forms. This downloadable printable is a great resource for elementary school students at Elementary (A1) level. It is valuable for consolidating Present simple tense in English, and was designed for working on your students' Speaking skills.